One silver necklace. 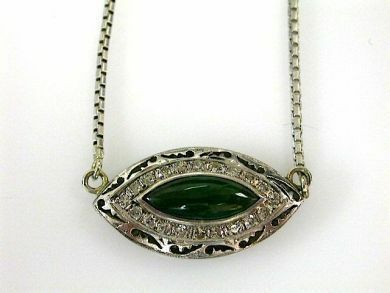 The box link necklace is set with one cabochon nephrite piece. Twenty single cut diamonds (0.30 carats: SI-I1 clarity: H-I colour).